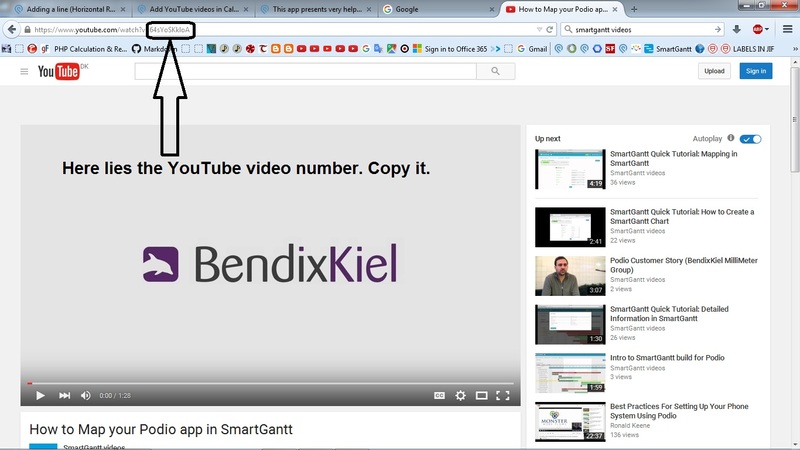 By combining two of Markdown features we are able to add a YouTube video in Podio. And replace the @Text with any text field of your app. (We included a redundant @Text, in order to make calc field work). Copy that number. You should make two replacements, in both instances of “VIDEO_NUMBER_HERE”. Paste the number of the YouTube video that you have copied.